dum dum bang bang dum dum!! Mrs E will go to the ball as Danna Barrett (Sigourney Weaver) whilst possessed by “Zuul the Gatekeeper of Gozer” in Ghostbusters. 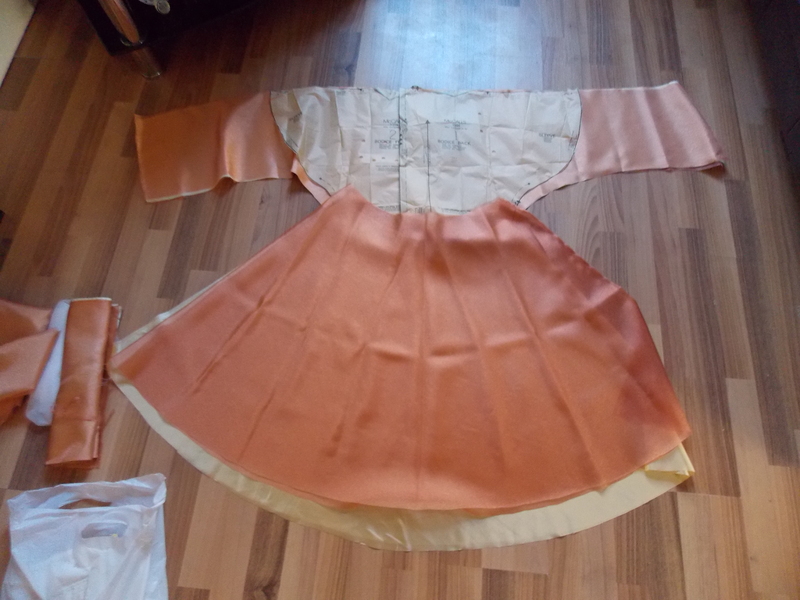 I’ve had fun with this dress, it took a lot of rummaging trying to find the right pattern to alter. 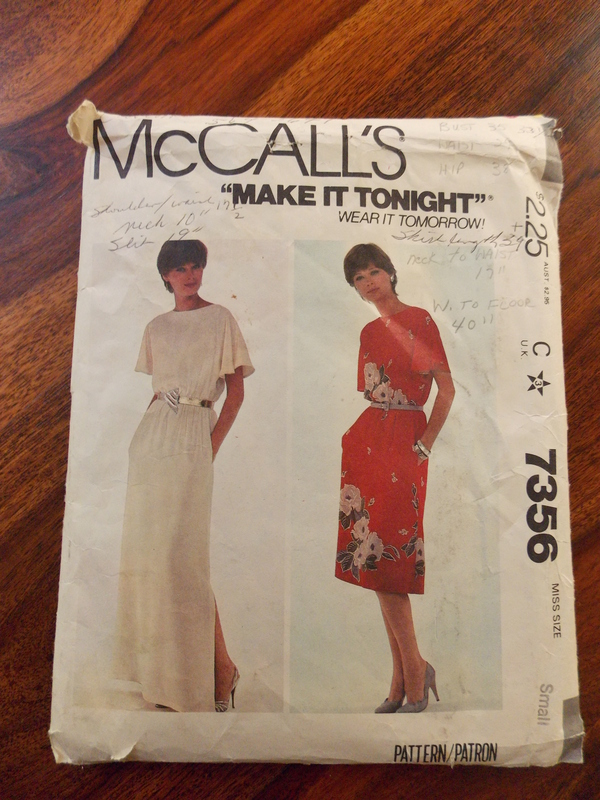 I eventually went with this vintage McCall’s 7356….This was a great dress pattern to based the dress on…. 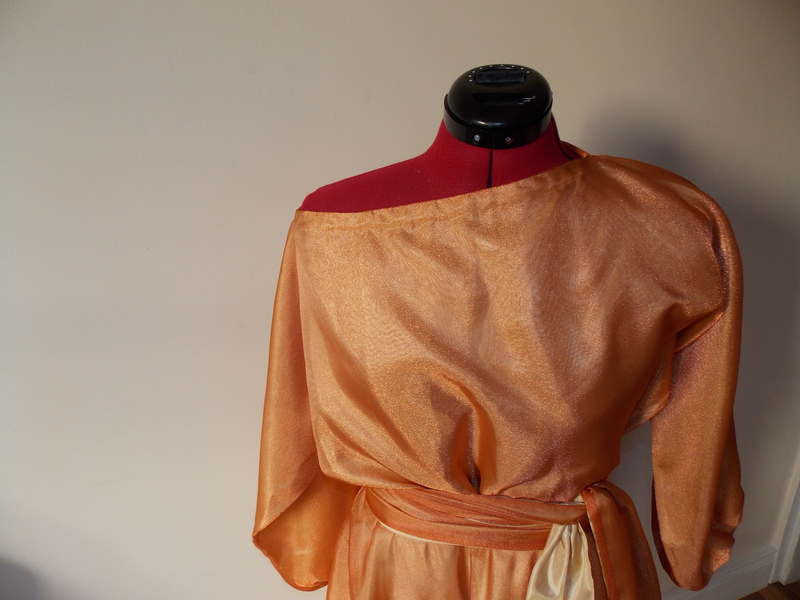 I altered the sleeves by making them longer, and making them more bat-wing/magyar in style. 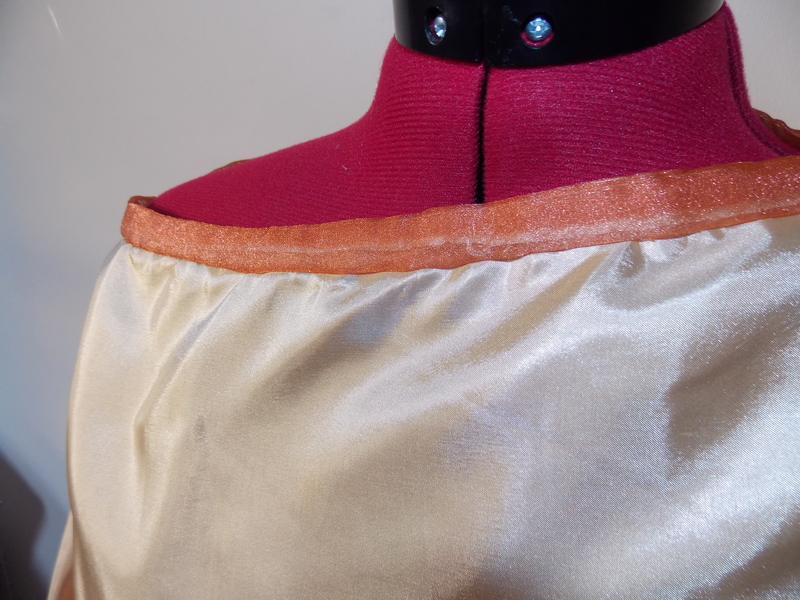 The neckline was also made wider to make it more “off the shoulder”. 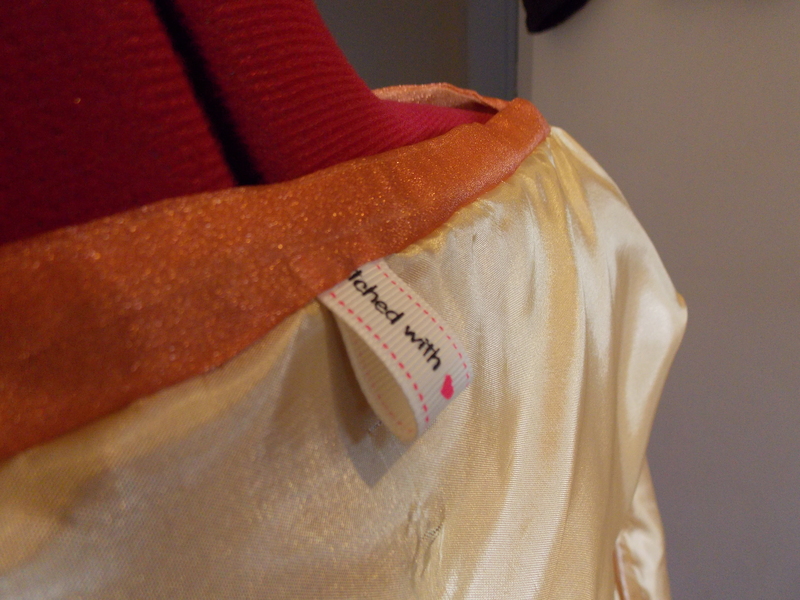 I added extra organza to the neckline to act as a facing/bias tape which I hand stitched in place. 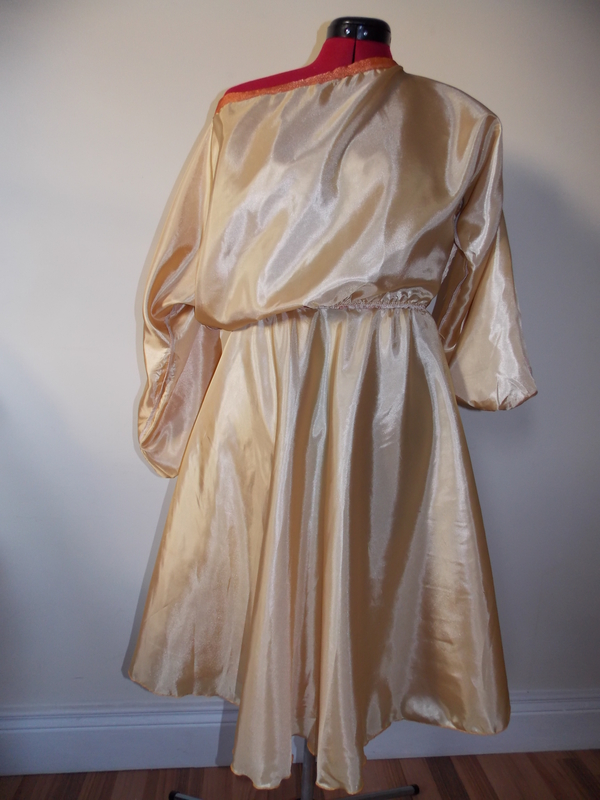 I also made the bottom half of the dress a circle skirt to gain the drape, as the closest I could get in colour was organza, The lining is china silk lining….. 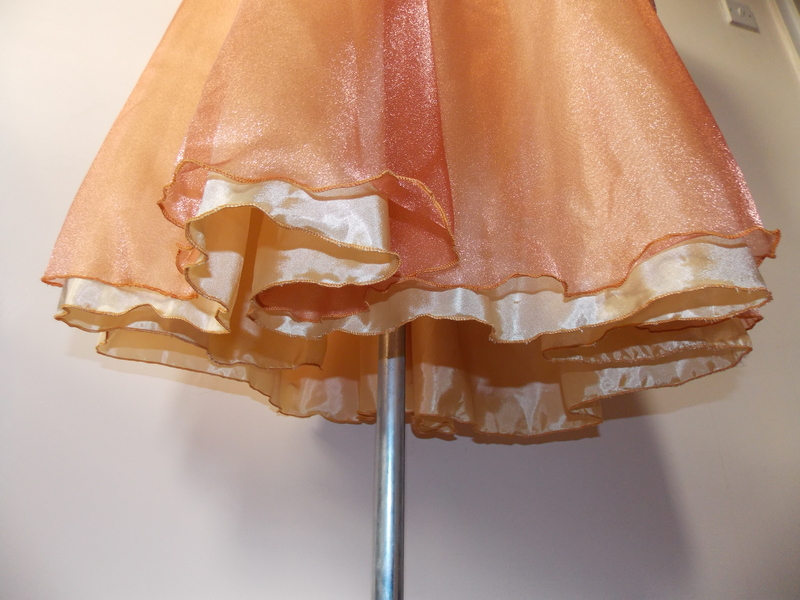 I left a side slit in the skirt section, and used a rolled hem stitch to finish off the edge. I have to say I CAN’T wait to see it on Mrs E…. It will be winging it’s way over tomorrow. Are you making anything for Halloween?? I plan on lots of pumpkin carving and a watching the fireworks on the night…. Derry goes MAD at this time of year!! The boys keep changing their mind on what they want to be, vampire has been a firm fave for the last 3 days though!! I love it and can’t wait to try it! Will send photos 🙂 Thank you super talented you! 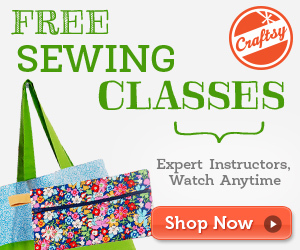 hi there….is there anyway you can post more detailed instructions? i am a bit of novice sewer so any help is appreciated! Is there anywhere I could buy something like this? I really want to do this for Halloween this year! I will be taking orders for this next year! Are you still planning on making these to sell? If so, please email me with pricing. I will be pricing and taking orders for next year. Oh my gosh, I have been searching everywhere for a Zuul dress! If I could buy this from you I would!! Anyone know where I can buy a dress like this? 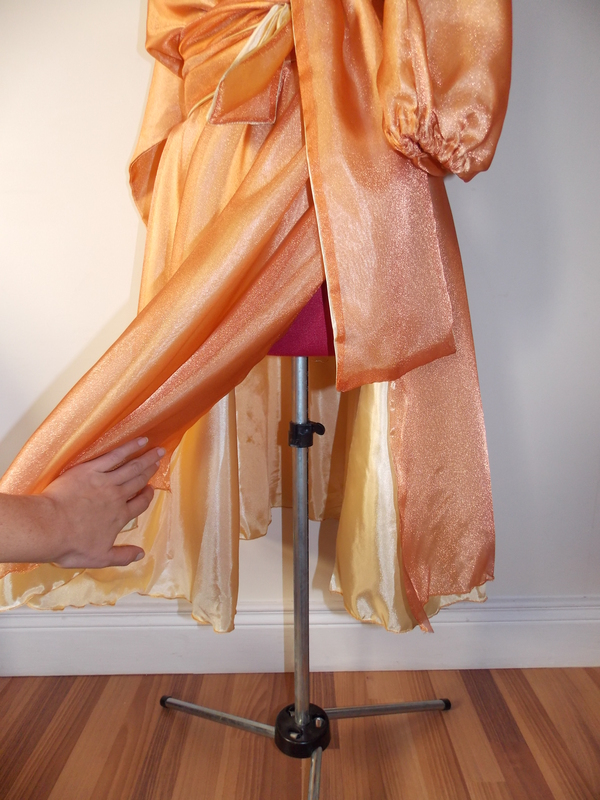 I will he takinv orders next year fir the zuul dress! I was busy this halloween hence the late reply! Sorry. 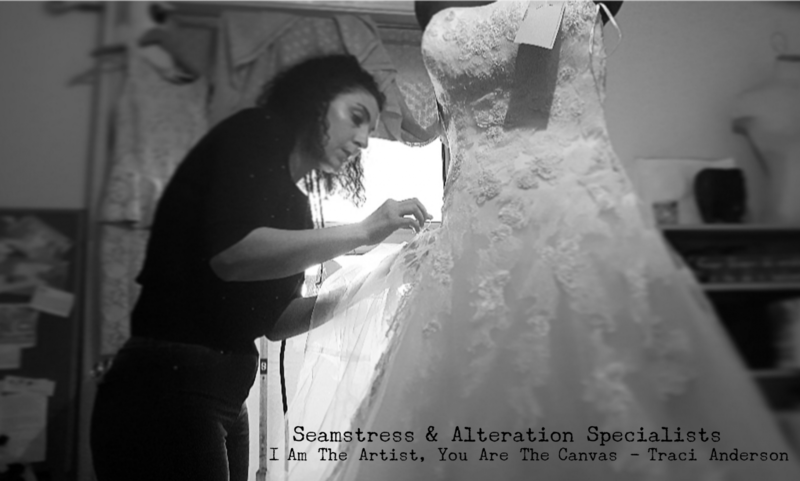 Are you still planning on taking orders or I can purchase this dress? 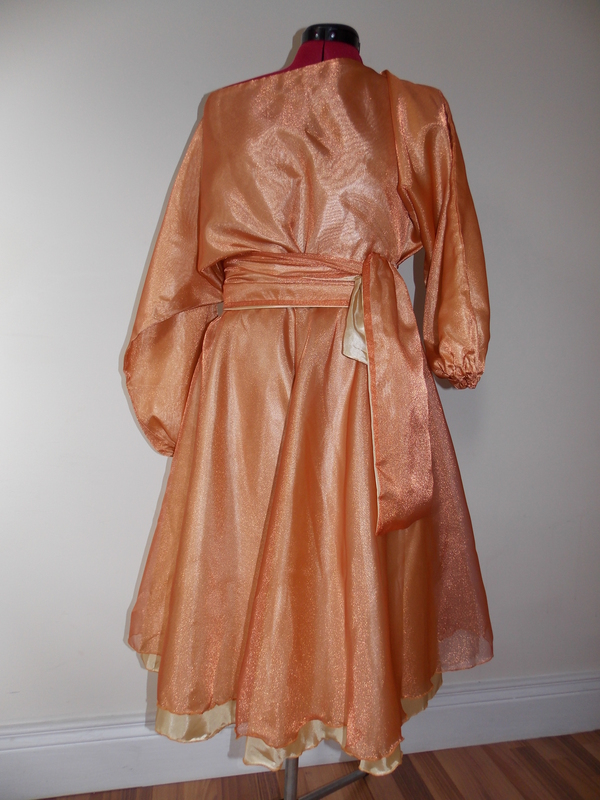 Are you still making this Zuul dress?? I know it is not Halloween season, but we are attending an 80s themed birthday party in a couple weeks. Do you make these to sell? Super fast? I would like to discuss ordering if you’ll be taking orders! !